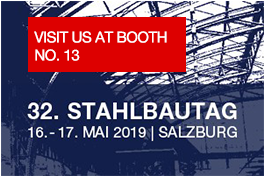 From May 16-17, 2019, our experts for protective coatings will be present at the 32th edition of the Österreichische Stahlbautag. Please refer to the event website for more information and application. 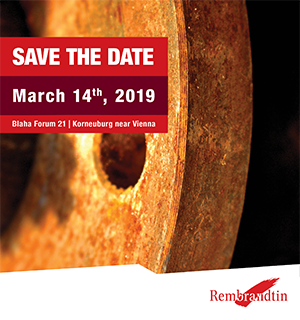 Rembrandtin cordially invites you to the next IKI Symposium on March 14th, 2019 at Blaha Forum 21 in Korneuburg near Vienna. 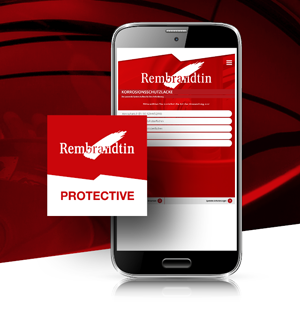 You can expect interesting lectures about new developments in the field of protective coatings as well as information about the highlights of the “Rembrandtin Protective” APP. We are looking forward to welcoming you to this top industry platform! Discover the first mobile application for protective coatings – now on Google Play. Rembrandtin Protective helps you to plan your protective coatings projects. Once the basic conditions are fixed, the app finds the coating system tailored to your needs in just a few seconds. Included are atmospheric systems, coatings for steel surfaces exposed to permanent water or temperature, surface-tolerant primer coatings and RVS systems. Detailed product information on the respective system can also be seen in the app. The app is up-to-date according to the standard EN ISO 12944-5:2018.